The months between booking and departure were finally whittled away and I was on my way to Turkey. So much had changed since making those plans, and at one point I even questioned if I should go anymore. Two days before leaving, I hadn't even finalized places to sleep for half the trip. I could stand to lose the $575 it cost for my plane ticket (yes, be jealous of that price. LAX to IST. Roundtrip WITH taxes). But I stayed up late and packed and wrapped up work and went. I got to the airport plenty early on Thursday morning for a noon flight. I thought I did a pretty terrible job of packing, since I did most of it that morning I managed to get it all in a carry-on (miracle!) and only took a skirt and a pair of leggings that I didn't wear. Bravo. I figured MCB wouldn't show up til last call - turns out he beat me to the airport. We left LA on a beautiful sunny day, stopped in Chicago where it was 32 degrees, and I was dying to find a slice of pizza before the long haul. By the time I switched terminals, checked in again for the Istanbul flight, and went through security at the crappy terminal, there was not much time for pizza and absolutely none to be found anywhere near our gate. Boo. I ate a very expensive crappy sandwich instead. As I stood in line to board, voila! There was the lovely Jihan. I knew she was going to Istanbul during Thanksgiving, but we didn't realize we were on the same flight over. Her friend Mark was joining her from Seattle, so the four of us swapped hellos and our dreams of Turkey while boarding. We were all split up on the plane and I was a little glum when I realized I had a middle seat. Uh....yeah, I only do long flights in business class, remember? I settled in next to a Russian lady who spoke little English, and was very confused with the video screen and menu options. She ended up in the video games section, stuck, looked at me and said 'out! out!' I helped, of course. Turkish Airlines is apparently the best airline in Europe, and while I didn't particularly enjoy the movie selections (I'd seen most everything and wasn't able to make a dent in my Netflix queue), the food was excellent and the lip balm is still being enjoyed. I survived without getting up from my seat once. Friday afternoon we stumbled out the plane, deplaned onto a bus, and went to figure out the visa situation. which turns out to be a ridiculously easy thing to do. You walk to a booth (short line), hand them a $20 bill, and they give you a little sticker to put in your passport. Takes all of 10 seconds. Walking into the arrival area with tons of people smashed on top of each other waiting for friends/family was a little overwhelming, and it took us a bit to find the man with my name on a sign. Mr. Lauren, it said. I couldn't figure out gender of Turkish names before I went, turns out the reverse is also true. I'm glad I had arranged a shuttle in advance because 1) Turkish is really, really hard and I hadn't even mastered saying hello at this point 2) public transport on the subway would've required a transfer or two and walking through an area with twisty turny streets. I'm sure I would've figured it out, but I didn't want to take 2+ hours to do it. Turkish words are so foreign, there's no way I could've remember subway stop and street names without staring at written directions the entire time. I looked at the word for 'street' a gazillion times while I was there, and I definitely couldn't tell you what it is, even what letter it starts with. One man with the sign in the airport took us to another man who drove the van, who took us to another man who had the keys to the apartment I had rented in Sultanahmet, from another man. It wasn't a bad little place, despite being pretty cold (no central heat) and a heater only in the bedroom part. Normal room temperature for the heater setting - 22C. I think I had it cranked to 30C the whole time. Getting out of the shower with wet hair in a non-heated room - almost my worst nightmare. 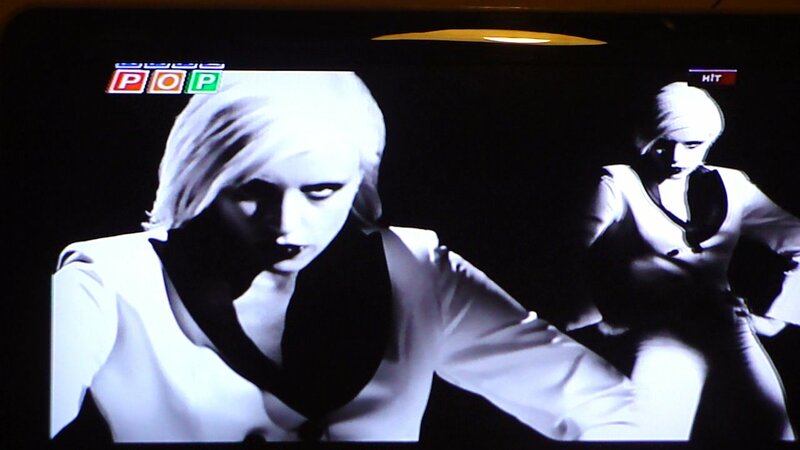 My first glimpse into Turkish TV - a gazillion music video channels. I saw the Turkish Lady Gaga and Turkish Ricky Martin. There were no English channels to be had, despite a plethora of news from Azerbaijan and Georgia. Does anyone even care about these places? I do now. We ventured out into the night, aiming to aimlessly wander and not get too lost. After some twists and turns and hassles at a marketplace, we came upon the Blue Mosque. And some gorgeous street lamps (smaller versions are for sale everywhere in Turkey, and I could've bought a million. I love them). And chestnuts roasting on an open fire (or under heat lamps). And the first of many, many amazing dessert shops. And cats. Cats are everywhere in Turkey. 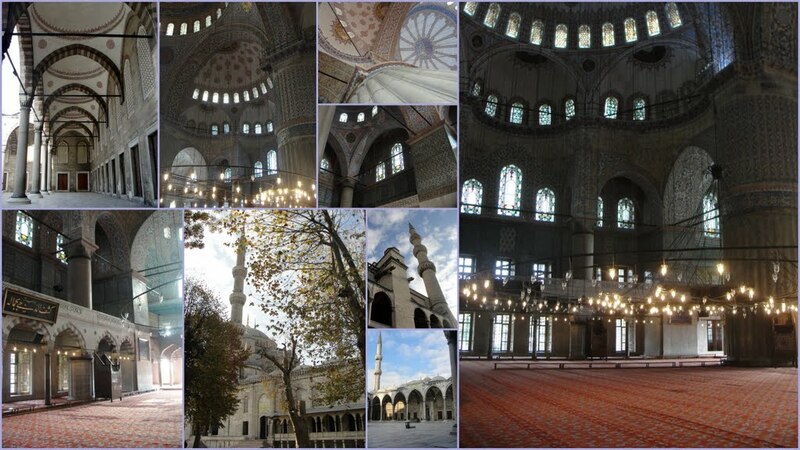 I think I took a hundred shots of the Blue Mosque. It was dark, beautiful, and very few people around. I guess that's the plus side of traveling during winter. I think I'd hate it with thousands of people angling for the same photograph. We ducked into a little cafe on the walk home for hummus and hot chocolate, which turned out to be a thicker drinking chocolate.Score! Has anyone else seen this set up? You plug the iron into the board and the board into the wall? I guess that solves any cord problems, but I've never seen this....random. The call to prayer woke me the next day (wailing bright and early at 530); I survived a shower in a cold room with wet hair and it was time to set off. 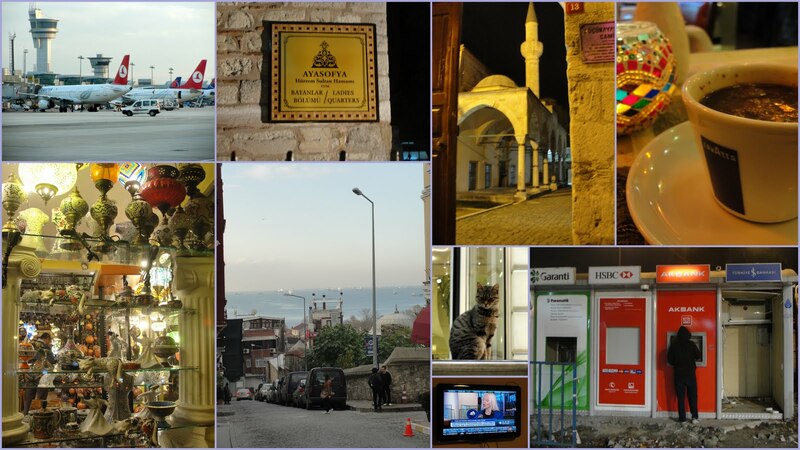 My DC friend, Robin, was also in Turkey for an 11-day tour and she had that day free in Istanbul. We met up near the Blue Mosque and got started on the tourist checklist. First stop, back at the Blue Mosque. The construction of the Blue Mosque happened under Sultan Ahmed in the early 1600s. The inside has more then 20,000 handmade ceramic tiles (another thing I could've bought a million of) and 200 stained glass windows. I overheard a guide say that they used ostrich eggs in construction to repel spiders. Next time you've got a spider problem in your house, you should try that. This is still a working mosque, so the visitor area is roped off, hence the photos with no people in them. It wasn't prayer time, and even if there was, I don't think there'd be many people actually praying there. It's really beautiful, but not much to tour. At this point, MCB left us to go catch a flight to Serbia for a few days. 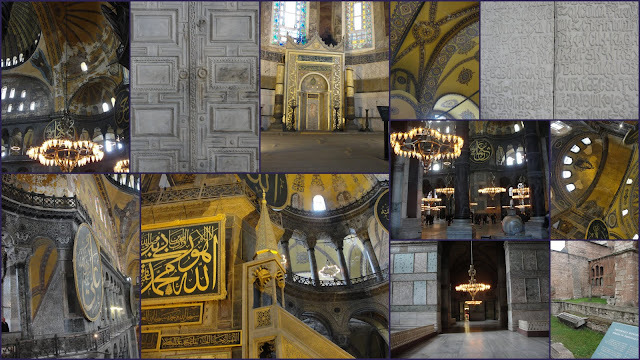 Robin, Jill and I continued to the Hagia Sophia (Holy Wisdom). From the outside, I was like - eh, it's okay. It's hard to compete with the Blue Mosque next door. However, little did I realize how much I'd love it when I entered. It's old. And religiously significant. And that's all very fascinating to me. In case you don't remember history class, today's structure was completed in 537 - it was the center of the Eastern Orthodox church for almost 1000 years and the pinnacle of Byzantine architecture. It was pretty beat up by earthquakes, fires and sieges, so when the Ottomans rolled into Constantinople in the mid-15th century, the Sultan overhauled it and converted it to a mosque. Ataturk made it into a museum in 1935. I opted for the self-guided audio tour, so I split from Robin and Jill. I could've spent hours in there, though I kept it down to two. I wen through this door, even though it was emperors only at one point. 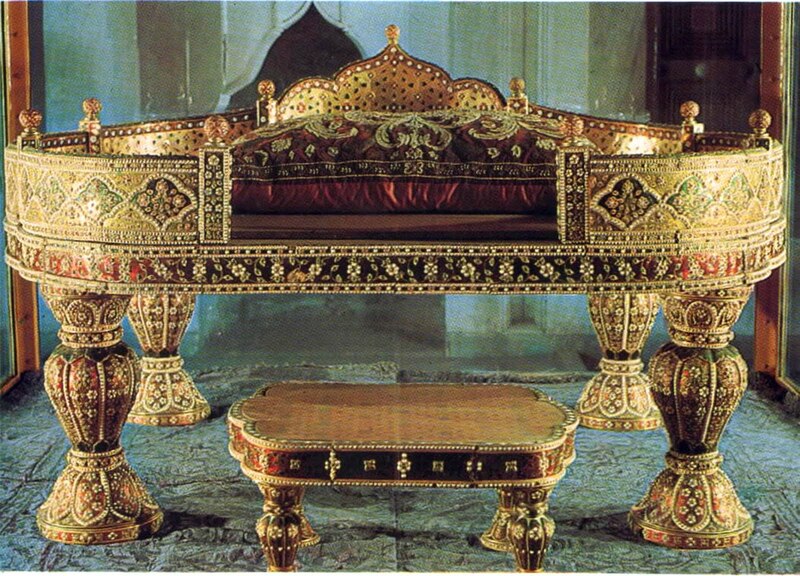 Here is the spot where Emperors were crowned. I didn't stand on it. Up the ramps to the upper floor, where most of the mosaics are located. This place is massive. And gorgeous. I really could've looked at it for hours. The Deësis Mosaic is a traditional depiction, with the Virgin Mary and John the Baptist on either side of Christ. The Virgin and Child is from the 9th century, with archangels Michael and Gabriel no longer present. Bottom line - you should see this place. I grabbed some Pom juice to go - fresh squeezed. It's delicious and plentiful. Next stop up the road, Topkapi Palace, home to the Ottoman Sultans, their harems and courtspeople for 400 years, starting in the mid-15th century. It's almost 200 acres, overlooking the sea. Some of the best parts of this place didn't allow photographs, and with the single-file line viewing and the overbearing guards, I didn't even get any stealth photos in. I have a couple questions about this place - they claim to have the Staff of Moses. Really? It's on display, but really? Also, there is a footprint of Muhammad. How does one save a footprint from the early 7th century? And know that it was his? There's a sword and a tooth of his there too. Perhaps those are a little more plausible. Add this to the list of things to ask when I die. Right next to OJ Simpson. Looking out towards the Galata Tower, pretending to be a ruling Sultan. The pom juice really stoked my appetite, so it was time for lunch. Lamb stew, lentil soup and delicious bread - yes, please! We sat inside by the fire, and enjoyed a perfect cozy winter lunch. Jill had heard that we were supposed to see the Basilica Cistern. I hadn't even read about, was kind of tired of paying admission fees at this point, and almost skipped it. That would've been a big mistake. This might be the coolest thing in Istanbul. It's underground, it's dark and slightly creepy, and there are MEDUSA HEADS. It's apparently one of many cisterns underneath Istanbul, but definitely the best known. There's still a couple feet of water at the bottom, now home to fish. It's pretty huge, so you could spend at least 30 minutes walking around it. No one knows exactly why these two Medusas were used, but hey, they're kinda cool. I didn't realize just how enormous the Grand Bazaar really is. You could get lost for days. I'm glad that both times I went I was with other people, otherwise I never would've been able to find anyone there, or get out on my own. There's 21 gates, plus sections for leather, gold, silver, textiles, carpets, antiques and even belly-dancing costumes. I got a taste of the action, but resisted any purchases since I had to haul my stuff through the rest of Turkey over the next week. Smart move. As the sun and temperature started to drop, Robin, Jill and I walked towards the university and parted ways. Thinking back, that would've been the time to visit a hammam, but I wasn't yet smart in my Turkish ways. I walked back home towards the touristy area again, and stopped to get information on the Hop On, Hop Off bus (hoho!) that I could take on Sunday before my afternoon flight to Izmir. I was alone at this point, and figured it would be a good way to see more of the city and give direction on what I wanted to do upon my return to Istanbul at the end of the week. Lucky for me, one of the guides offered me a discount on the trip and promised to take me to lunch after my tour the next day. A little sketchy? Nah. Lunch with a local is great, and the discount doesn't hurt either. Barış had lived in the US for awhile, and I'm sure he only wanted to practice English with me. I promised to come back the next morning for their first tour at 930. I also stopped by a travel agency to book an airport shuttle the next day and ended up booking a full day tour in my next city of Selçuk, because I hadn't done any planning for that leg of the trip. Travel agency > internet in most cases in Turkey, just so you know. Find one on your first day in the country and they'll hook you up. Saves you a lot of time trying to figure out airport transfers to a tiny hotel that doesn't do online bookings and doesn't speak English. Take the easy road and save yourself some headaches. Have a Turk make some calls for you. It works well. I made a grocery store trip and scored two bottles of water and a candy bar for one dollar for dinner. I was up again at the crack of down in my cold little apartment, grabbed a sesame bagel and pom juice to go, and sure enough - Barış was waiting for me like he said. I paid my discounted bus fare and braved the cold winds on the upper deck of the bus. We left from the Hagia Sophia (isn't it still lovely)? Crossing the Galata bridge, which spans the Golden Horn, not the bridge that goes from Europe to Asia. It is chock full of fishermen and fish restaurants, which I didn't make it to. Next time! I had decided to jump off at the Dolmabahçe Palace for an hour, then catch the next HOHO bus through the rest of town, which would put me back for lunch at noonish, which gave me plenty of time to eat, go back to my apt and get my bags, then make my airport shuttle. That's not exactly how things turned out. Dolmabahce is a guided tour only which I didn't realize and takes a little over an hour, which meant I'd miss the bus that only comes 'round once an hour. To do it or not to do it? I was already off the bus and on the grounds, so I went. It is stunning. Really. Don't miss this if you go to Istanbul. I guess the Ottomans got tired of Topkapi in the mid-1800s, and they moved a little ways up to this place. It is Turkey's answer to Versailles. It's also the place where Ataturk died, so it's sacred to the Turks. They didn't allow photos inside, and since I was in a small group with a guide and there were guard people in every single room, I didn't get away with any ninja camera tricks. But here are a couple photos from another site to give you an idea. The last room of the tour - The Ceremonial Hall - is ridiculous. I wanted to stay and gawk for awhile, but it was right at the hour point where the bus was probably coming by, so I ran out of there. Literally ran. And it started to lightly rain. Made it to the bus stop and I waited for 20 minutes, until I realized I'd totally missed my bus for the hour and couldn't wait for the next one, because it still would've taken me another hour to finish the tour and I had to get back, lunch, and get to the airport. I started to walk until I found a tram station, realized it's the one that goes right back where I needed to go, and after watching a couple people use the token machine, I figured out how to do it myself and get on board. Barış was right there working and told his buddies he was taking off for a lunch break. He took me to a little restaurant up the road and ordered us some delicious kebabs and bread and stuff. I should've taken more pictures of that food and of him, but I didn't. The picture of the hot bread will have to suffice. He's very nice, we had good conversation, and it wasn't so weird going to lunch with a complete stranger. After lunch I headed back to my little apartment, gathered my things and went to wait outside the travel agency for my airport shuttle. They invited me inside to wait and shoved more apple tea down my throat (it's delicious!) until the crazy young driver showed up in van to haul a bunch of tourists to the airport. I got stuck in the middle front seat and was sure I was going to be thrown out the windshield when we wrecked. love those lamps. and i got hungry reading this post -- looks like there's some good eats in turkey! love that you had lunch with a random turkish man. nice work! can't wait for more posts and pics.